A few common hand tools still used by skilled woodworkers. I turned the mallet from Red Gum and Huon Pine (handle). 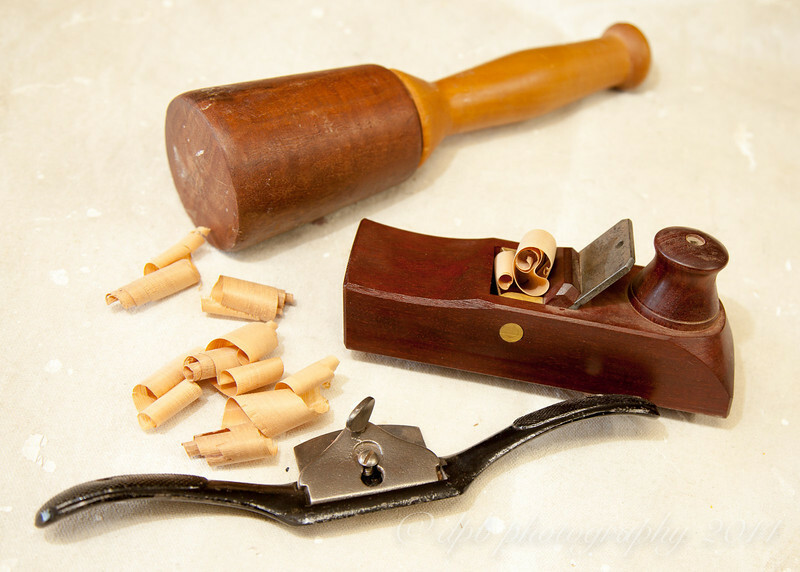 The plane is a small block plane crafted by well know Aussie tool maker, HTN Gordon and the Spoke Shave is a Stanley.